A lightweight, oil-free moisturizer with a hint of color and UV protection. Rich in minerals and amino acids, pure stabilized bamboo sap delivers vital nutrients and hydration while also strengthening skin's self defenses. This treatment moisturizer provides sheer coverage, minimizing minor flaws and imperfections, allowing the natural beauty of skin to shine through. Ideal for all skin types. Good for oily or combo skin. I love the cushion if I had to choose, but I am obsessed with this tinted moisturizer too. Love AmorePacific!! Its easy to apply and has nice coverage for redness and blemishes. this is my holy grail! 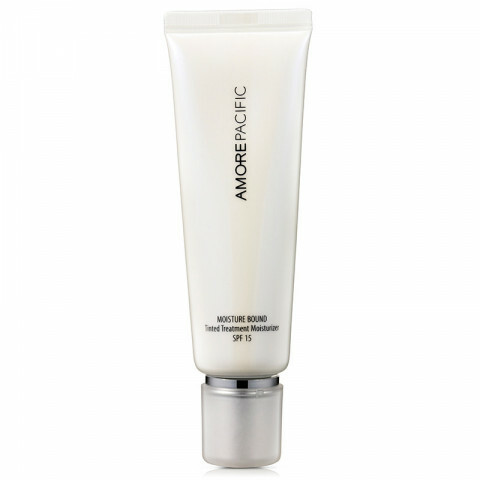 great tinted moisturizer, feels nice on the skin and gives light coverage. great for the summer and vacation. just wish there were more shades. I love this tinted moisturizer. It goes on smoothly and it's not clumpy! I received this as a sample and loved it. I have been looking for a tinted moisturizer with SPF that covers nicely without feeling sticky or heavy. This provides a natural finish. If you are looking for something that gives a flawless finish, this probably is not it. BUT if you want something that even out your skin tone and provides some sun protection, this is a very good choice.